Dark blue bicycles bearing St-Germain elderflower liqueur branding are serving as a sustainable solution for employees who work at the Bacardi Limited headquarters in Bermuda. The company said, “Employees are using the company-provided bicycles as a means to travel around the world’s largest privately help spirits company’s campus and local community as part of the ongoing Bacardi Limited ‘Good Spirited: Building a Sustainable Future’ environmental initiative. 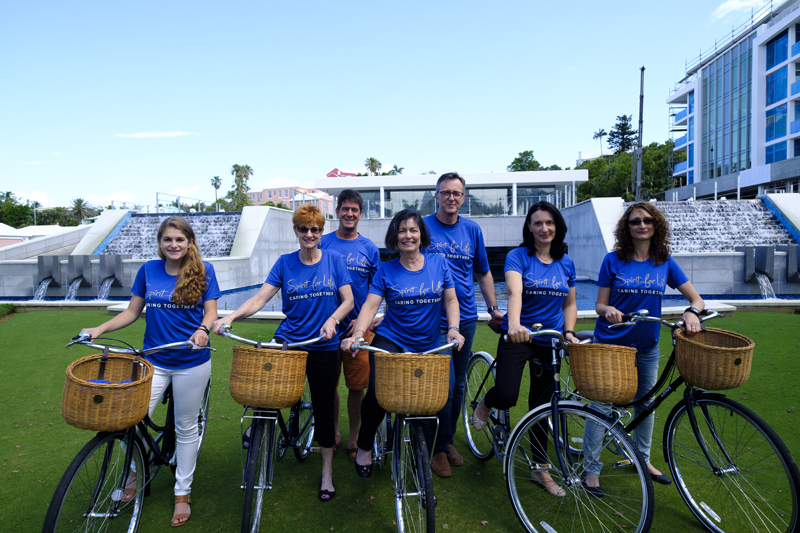 “The use of bicycles as a mode of transportation to and from work is important for us because pollution and the use of fuel is reduced, the noise level is minimal, it saves time parking, and we can get our exercise at the same time,” said Clara Fay, Director of Corporate Affairs, for Bacardi in Bermuda. A spokesperson said, “The company has five traditional French-style bikes, complete with wicker baskets, for use around Bermuda, all marked with the St-Germain logo, with an additional six on order. “The bikes are similar to ones used by elderflower harvesters, who use bicycles to get into the French Alps to collect the flowers used to craft the liqueur. To learn more about Bacardi Limited and its “Good Spirited: Building a Sustainable Future” environmental initiative for sourcing, packaging and operational efficiencies across the entire Bacardi family of premium spirits and wine brands, visit the website.